brand of non stick tawa is prestige. When you choose Prestige Non-Stick cookware, you opt for the very best in class, design and durability. Prestige Non-stick cookware is designed to make cooking more convenient, healthy and economical than ever before. With features and finishes that are he every best in the industry, you could not have asked for a better product. This company's are dealers in house hold articals only.given the good service to the consumers. Anitha Home Appliances was established in the year 2002. 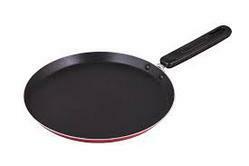 We are one of the primary traders of Non Stick Tawa, Mixie, Fan Items, Griender. Infused with the aim to best quality products, we at Anitha Home Appliances are the best solutions providers of our products within your reach. Today we are the authorized traders with many leading companies. We have made a continuous improvement in the trading of various genuine and trusted quality goods to meet the ever increasing market requirements.